Most will probably consider this controversial, as it touches on atheism and euthanasia. Like any good book, it packs a wide variety of subjects into a simple narrative: epilepsy, astronomy, the Secular Church of Kurt Vonnegut, weed as a recreational drug, Amnesty International, maths, tarot and what it means to really die with dignity. 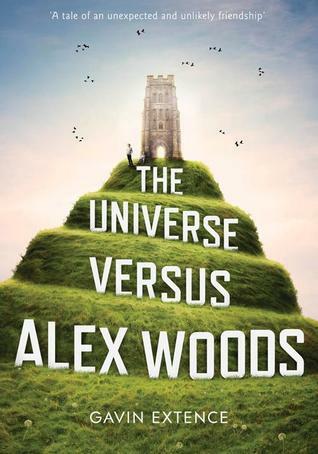 Alex Woods has the misfortune of getting hit by a fragment of a meteorite through his bathroom roof, and wakes up a month later with epilepsy. We follow him on his journey to wellness, as he spends time alone and turns to reading as a way to pass the time. Because of his fits he is unable to attend school and so his learning becomes ours. In what is a slightly tired trope, he befriends the grumpy old man no one else in the village will talk to. After damaging the old man’s property while running away from bullies, he is punished and starts by writing Mr Peterson’s letters to Amnesty International. Mr Peterson introduces him to Kurt Vonnegut, and so their friendship blooms. But (and you probably saw this coming) Mr Peterson falls ill with a degenerative disease and is faced with the prospect of dying without dignity, lying in his own excrement after falling down the stairs due to encroaching blindness and failing muscles. Enter euthanasia and the assisted suicide clinics in Switzerland, and the book moves to a serious discussion of what it really means to die with dignity. I feel a great number of people will probably drop the book at this point, even though the adventure of how Alex and Mr Peterson get to Switzerland is worth the read. The book is, perhaps, a bold advocate for euthanasia. My hope is that it will encourage people to get past the knee-jerk reaction of “don’t play God” that most people have to the discussion. Sometimes the book suffers from the inexperience of a debut writer – it could have used some sterner editing to stop the narrator from sounding like a grating prepubescent – but it is nonetheless funny in parts, sad in others and genuinely interesting most of the way. I can’t imagine anyone picking this book up and not reading it all the way through. I loved, loved, loved this book. It packs so many topics in its 401 pages that every time I describe the book to someone, I leave out 90 per cent of the topics touched on here. And every time I try to describe this incredible book, I cry and cry because it has to be one of the sweetest books I’ve ever read. And I’ve read a zillion books in my 52 years.